We also accept payment via PayPal and for Evergreen Office Supplies Limited business credit accounts. 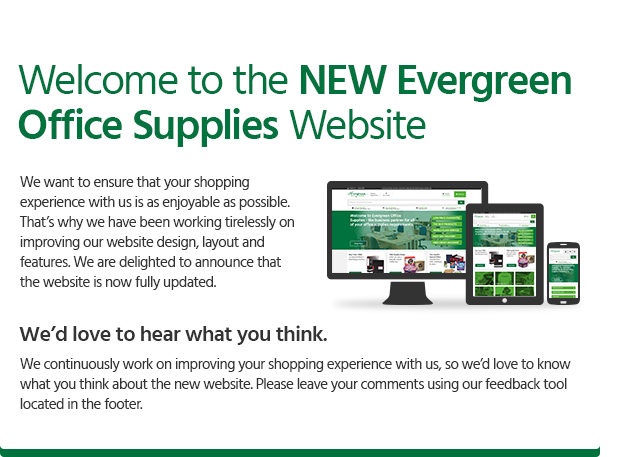 It will take just a few minutes to complete the application for an Evergreen Office Supplies Limited business account, with all decisions made within two business hours. If you have a personal account and would like to switch to a business account, please call 0808 169 8897 to discuss changing your account. For further information on your privacy and security, please contact us online or call 0808 169 8897, Monday to Friday, 9:00am – 5:30pm.